Fisherman Ray Kalili supervises a neighborhood hukilau, a group fishing technique, on O‘ahu's windward coast. 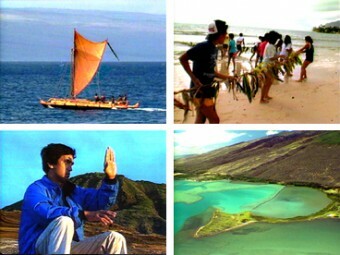 Ethno-historian Marion Kelly describes the use of fishponds in old Hawai‘i. Navigator Nainoa Thompson explains the art of wayfinding, or long-distance ocean navigation. And artist/philosopher Sam Ka‘ai speaks of the continent of ocean that makes up the Polynesian world.